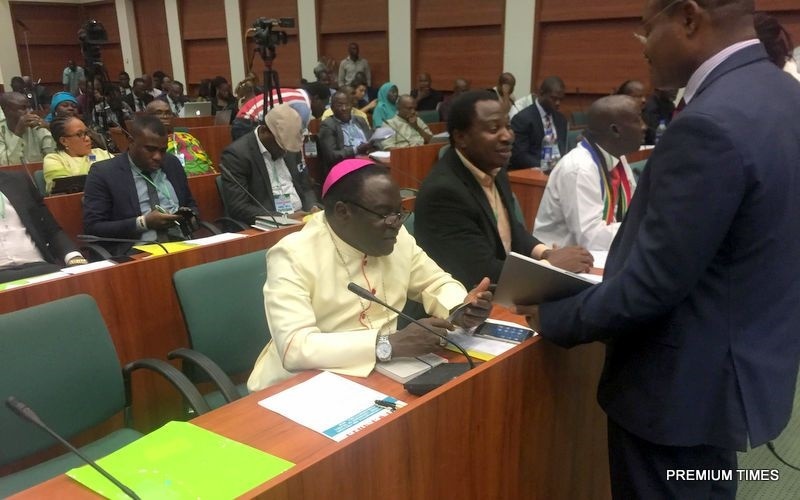 All the attendees at the hearing, including a Catholic cleric, Matthew Kukah, and a former lawmaker, Abdul Oroh, opposed the bill. A public hearing was held at the National Assembly in Abuja on Wednesday concerning a bill to regulate non-governmental organisations (NGOs) in Nigeria. At the hearing, the bill suffered setback as it got no support from Nigerians who appeared at the sitting. The bill recently passed second reading at the House of Representatives and subsequently referred to the committee on civil society organisations and development partners. Kukah said the civil societies and pressure groups make democracy stronger. “I stand with civil societies very firmly. He said Nigeria already has enough laws to cover almost every dimension of its citizen’s life. Meanwhile, while the public hearing was holding, protesters stormed the National Assembly complex to kick against the bill.